It may be only 10 degrees outside but today we are going to chat about those feathered darlings who come to visit us in the spring. BIRDS BIRDS BIRDS. Last winter I spent day after day creating these fun and clever projects from my huge (i may have a problem) stash of scrap fabrics. And this winter, I get to share my new book with YOU! 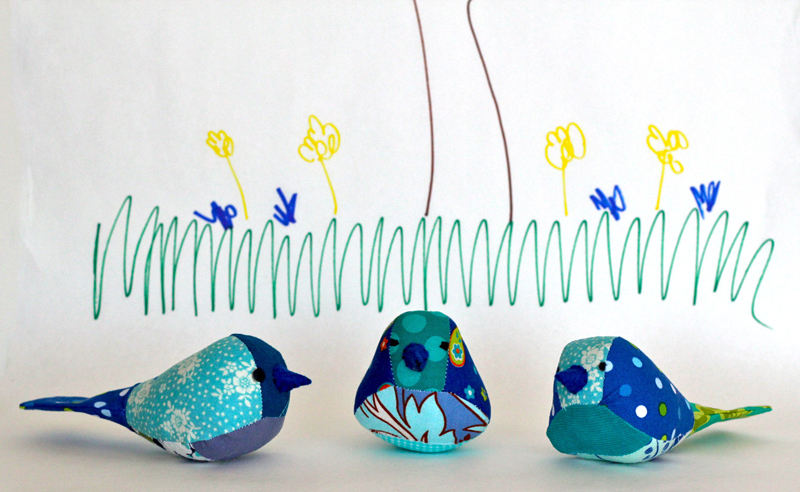 Pretty Birds includes 18 projects ranging from doves to swans, from owls to woodpecker, and fairy wrens to Kookaburras. I love them all so much and I am thrilled to share each and every one. This book is also beautifully hand illustrated (not by me since I am a terrible illustrator) and includes full pattern pieces too. 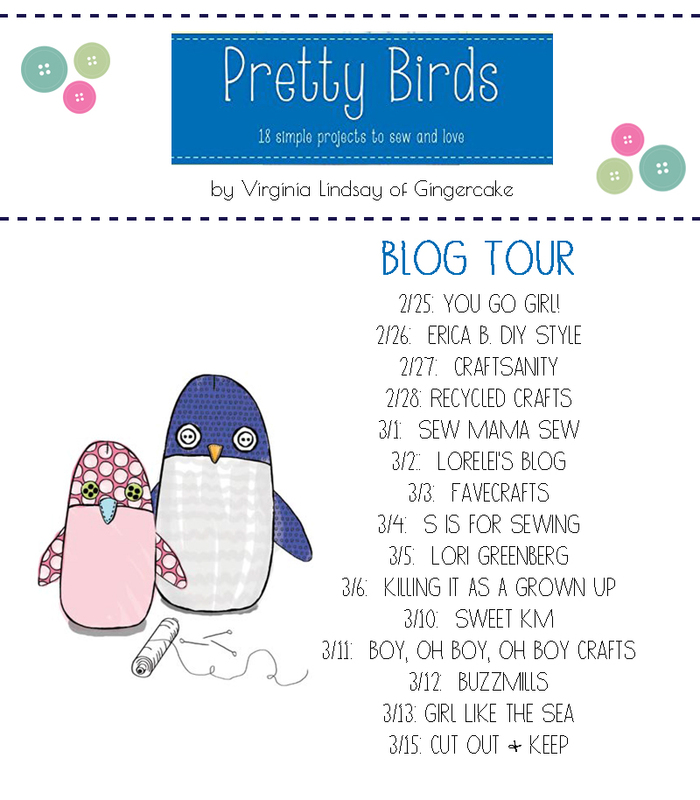 Today, I am starting off the Pretty Birds Blog Tour. The blog tour is lasting 2 weeks and during that time we are running a giveaway with 5 chances to win! 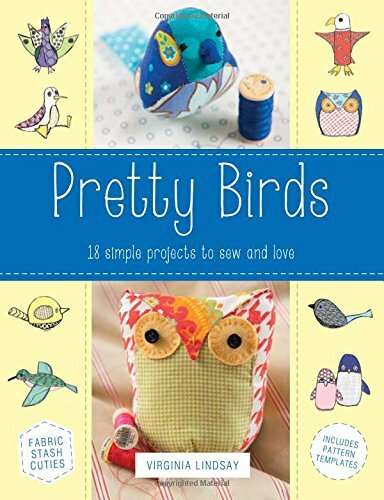 Five winners will not only recieve a Pretty Birds book, but also a complete sewing kit of the bird of their choice from ME. I can’t wait to share some scrappy love to aspiring bird makers. Enter the giveaway below.. I Love your book and birds. Super cute. Thank you for such a generous giveaway. I love to use my scraps to make small craft items – potholders, bags and scrappy quilts. Very very cute birds. Thank you for the chance at winning. I like to make little pouches or save them for my daughter to play with. 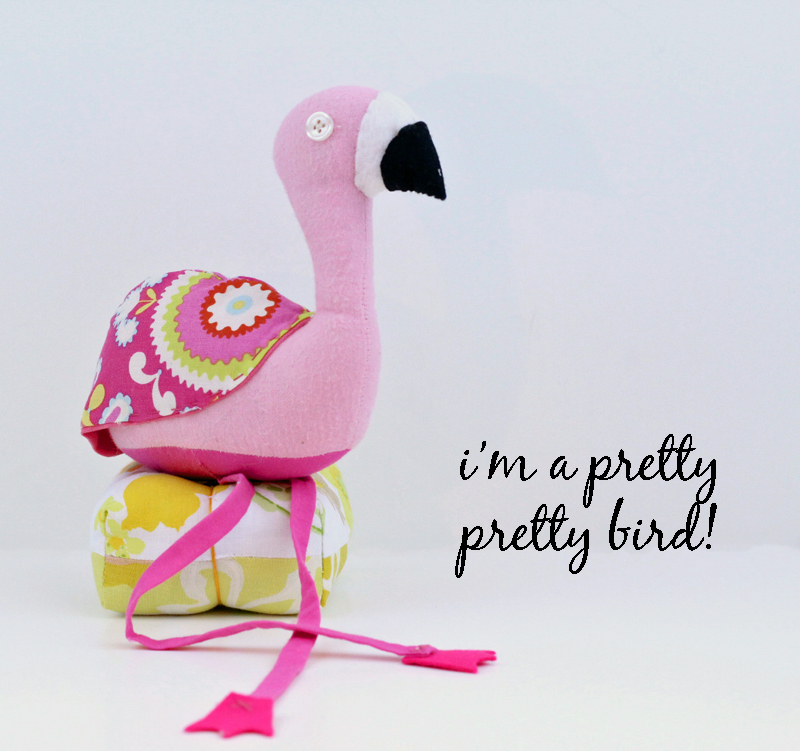 I love your Pretty Birds book! Welcome color in this cold frozen landscape. Blessings! I love to make Zakka, quirky things, pincushions, baskets, pillows. I would for sure make the flamingo! My girls like to make doll clothes and blankets for their horses with my scraps. Great use of scraps – I always have little bits and pieces so this book would be a great way for me to use them up! Will have to put it on my to-get list! I like to use my scraps to make bunting for parties. pin cushions, doll clothes, headbands, pillows. Appliqué on pillows. And on and on and on. I sew them together and make blocks! Sometimes I just give them away on my blog! My granddaughter likes to play with them. She would love one of your lovely bluebirds! So would I! I like to make four patch quilt blocks that I’m saving to make a quilt. Thanks for the wonderful giveaway; it’s a great book! 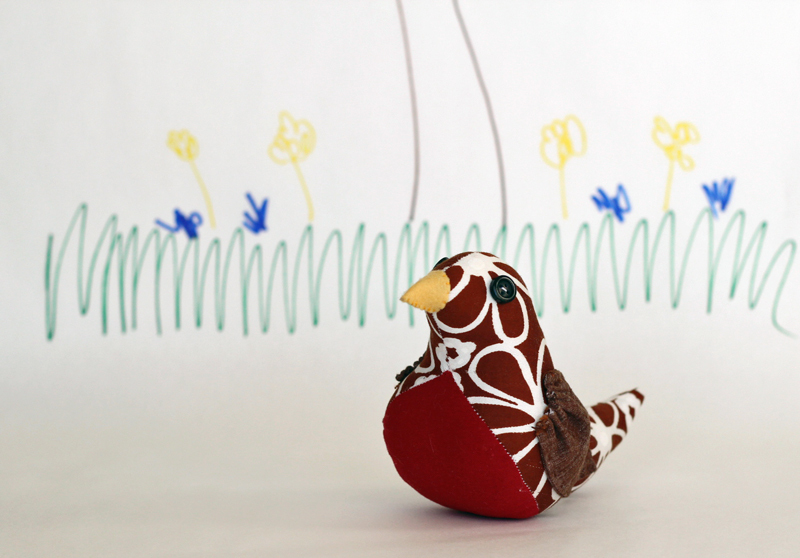 I love using my scraps for all sorts of things such as little toys, pouches, and dolls. They are all fabulous! LOVE that flamingo! I like to use my fabric scraps for sewing dolls and doll clothing. Thanks for the chance at this lovely book! Lately I haven’t done anything with my scraps and I sure do have a stash of them. I need some new ideas and inspiration. Thanks. I love using scraps to make small pouches, mini Kleenex covers, doll clothes. Thanks for the give away! Your book looks amazing! I’ve been making your birds. They are too cute! But I am unable to download the pattern for the seagull. Perhaps there is a misprint in the book? I don’s own a smart phone and I don’t have access to a copier to enlarge, so I depend on the web addresses. Please help! 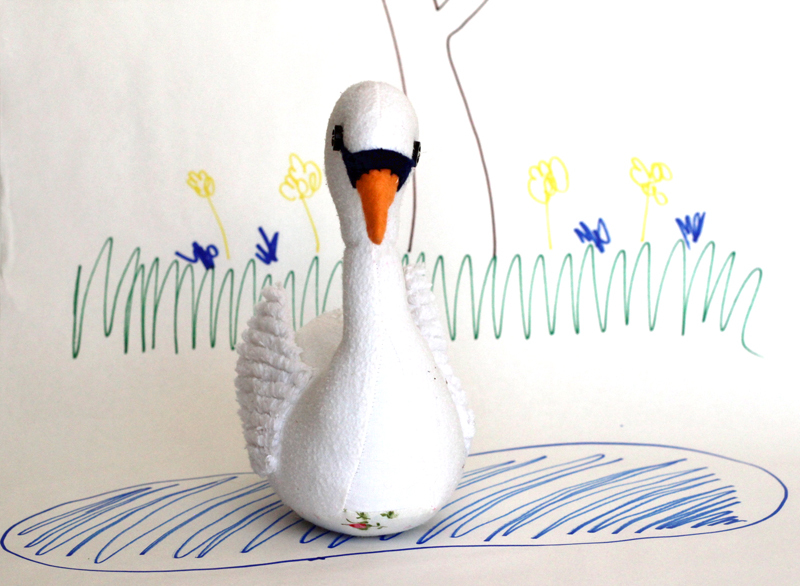 When I tried to download the swan pattern, I found that it was incomplete. The belly and wing are missing. So cute! I could think of someone who “needs” every one of these! !